Engage your employees. Understand your workforce and benefits data. Total Rewards Statements, Data Exchange, HRIS Implementation, and Single Sign-on. Engage employees with beautiful visual summaries of all their benefits and compensation. Transfer data between disparate systems in different formats with as little effort as placing a file in a folder. Make implementation painless by letting us take the lead and ensure a seamless transition to your new HRIS platform. Streamline access to all your applications with standards-based identity exchange and never forget your passwords. Employees don’t always know the full level of the investment their employer makes in them. The value of their health and life benefits, retirement programs, and additional perks aren’t always listed on a paystub. Improve employee retention by showing your employees the true value of their compensation package. Leveraging our Identityship solution, Brain Power develops custom, branded statements that look and feel like a personalized message from your company. Our team of designers and engineers work with your team to craft and deliver a beautiful, informative statement to your employees. Any benefit that can be monetized can be included in the statement. In addition, if there are some employee groups who receive additional benefits (i.e. executive benefits), we can introduce a variable design to only display those benefits to that employee class. Do we need to compile the data? Don’t spend your time doing that. 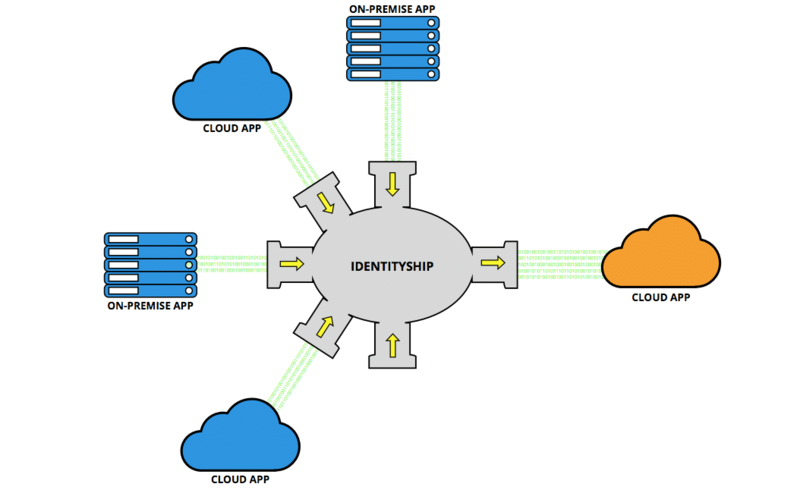 We use our Identityship product to take multiple files and compile them quickly and accurately. All you need to provide is a unique identifier for each employee (i.e. SSN, employee ID) in each file. What benefits can we include in the Total Rewards Statement? What benefits do you have? Our statements are data-driven and can include anything you want from whatever source you have. These statements look great! Can we print them and mail them to employees? We can support printing upon request. Our Total Rewards Statements are designed for the web, but we can work with professional print shops to deliver paper statements as well. Can I see a demonstration of a Total Rewards Statement? Yes, you can! We have an example of our work here. Identityship is a simple service for joining disparate systems and data sources and delivering the end product your group needs. How soon can I have you fix my problem? Our software can be established in a few hours and begin receiving data feeds the same day. Our goal is to have all projects finished within 30 days, saving your team time and money. After discovery, not much. We gather all of the technical requirements and make the connections happen. What types of inbound files do you require? We currently support CSV and Excel files. However, if your group has a different file format, let us know and we can build an adapter to your format. Why should you let us help? Implementing a cloud-based service can be a complicated project. You’ll invest plenty of man-hours and untold mental energy making sure everything is correctly configured to your unique benefit package, adequately tested, and delivered on time. Brain Power Software has been supporting HRIS implementations since our founding. We are intimately familiar with data import standards, data transformation, testing, auditing, online portal development, and training. Let us become the experts on your team. Why do we need outside support for an HRIS implementation? Implementations are time-consuming and can be stressful and demanding for small or busy HR teams. Brain Power works as your advocate to make sure that your implementation is finished on time and without overloading your team. OK, we might need some help. Why Brain Power Software? Over the past five years, Brain Power has worked as a preferred partner to expand and develop HRIS platforms and support clients throughout the implementation process. The timeline of an implementation is determined on a variety of factors. We specialize in keeping projects on track and on time, so you can rest easy knowing your implementation won’t take any longer than need be. In a world of specialized software apps, multi-platform integration and real time data exchange, one human may need to create, remember, manage, and reset dozens of passwords. A forgotten password reset process is a usability hurdle for any employee-facing application. Brain Power Software recommends standards based single sign-on technologies including OAuth, SAML 2, SAML 1.1 and helps clients connect with new application providers and adapt or migrate legacy user identification solutions. SAML is an acronym for “Security Assertion Markup Language”. SAML is a standards based XML document that contains enough information to identify a user for a software system. Can we use Active Directory? Microsoft Active Directory is a wonderful tool for internal login to the intranet but must be extended or configured to provide connectivity with external software providers. What if I have a custom SSO from a past project? Excellent! Your organization is already well on the way to interconnecting with other application providers. Typically, the information contained within the Single Sign On token is limited, so adapting a proprietary token format to a standard token format can be a straightforward mapping and testing project with the new provider. Have a project in mind? Contact us and let’s get started!